Family holidays to Salou often focus on the Port Aventura Theme park, which is very much like Disney World in the U. S. Families come from near and far to enjoy this theme park that is well favoured by the British. Roller coaster fans love the Dragon Khan roller coaster that can be seen from quite a distance. If you are interested in all inclusive holidays to Salou then you will definitely want to make sure that tickets to this wonderland are included in the price as well as one or two meals each day in order to keep costs at a minimum. It is quite possible to find cheap holiday deals to Salou despite the expense of theme park tickets. You need to book well in advance in order to get the best cheap holiday deals to Salou. It’s even better if you can find holidays with free child places to Salou. Some of these will include free or half price admission to golf, para sailing, horse back riding adventures, water parks, theme parks, or tennis. Every little bit helps when you are looking for cheap holiday deals to Spain or need to pay careful attention to your budget. In addition to Port Aventura theme park there is a water park in nearby La Pineda called Aquopolis where the entire family can enjoy a day of fun in the sun. Of course you do not have to pay high dollar admission to a water park in order to enjoy the fun of sand and sea. You can spend your entire holiday at the beaches of Salou and still never tire of the great water activities. Some of the favourites among tourists include kayaking, water skiing, sailing, jet skiing, and wind surfing. There are plenty of bars and restaurants lining the beach to keep things up and running as well. Golf is yet another great activity to enjoy while taking family holidays to Salou. Many packages include a round or two of GOLD as part of all inclusive holidays in Salou. You will find a nice selection of golf courses to enjoy in Salou and nearby resorts. Leave the rest of the family to enjoy spending time at Port Aventura while you spend a little time communing with the gods of the greens. The nightlife in Salou is almost legendary. This is a resort that is well known for wild parties that last all night long. In other words, day or night, there is always something going on in Salou. You will find plenty of excellent dining, drinking, and dancing opportunities await you in Salou. The nightlife is great to enjoy alone or with that special someone. 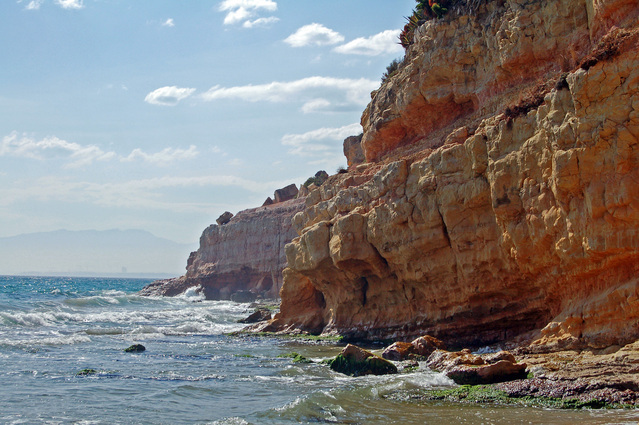 No matter what you are looking for in a holiday adventure there is much to enjoy for family holidays to Salou. Book your cheap holiday deals to Salou today and see why everyone is raving about this outstanding holiday resort. Now is a great time to enjoy deeply discounted holidays to Salou.